Are E-Scooters Really That Dangerous? More and more people are being hurt and killed in e-scooter accidents. There’s growing evidence that these scooters may be inherently risky and that riders don’t know the real dangers they face when riding them. E-scooter companies have gone to great lengths to try to dodge liability for unsafe e-scooters and the accidents, injuries and deaths they have caused. Yes, they have caused all types of injuries, from spine and brain injuries to deadly injuries. When e-scooter accidents involve faster speeds and/or riders who weren’t wearing helmets, the injuries are typically more severe, if not life-threatening. With the rise of e-scooters and mounting accidents and injuries caused by these vehicles, emergency rooms (ERs) across the nation have seen a surge in visits. In fact, ERs in some regions, like Salt Lake City,1 have experienced a 161 percent surge in visits, which has solely been due to e-scooter injuries. an E-Scooter Accident or Any Type of Crash? Poor, dangerous design – Many e-scooters are designed with short wheelbases for small wheels. This can make them inherently unstable, as well as difficult to operate on roads with even the slightest pavement defects. Defective or malfunctioning parts – Various components of e-scooters have been reported to fail or malfunction while people are riding them. This includes everything from brakes and motors to sticky accelerators, combusting batteries, malfunctioning throttles, and more. Lack of maintenance – Although the average e-scooter should be maintained regularly, this doesn’t always happen, leaving riders vulnerable to part failures and crashes. 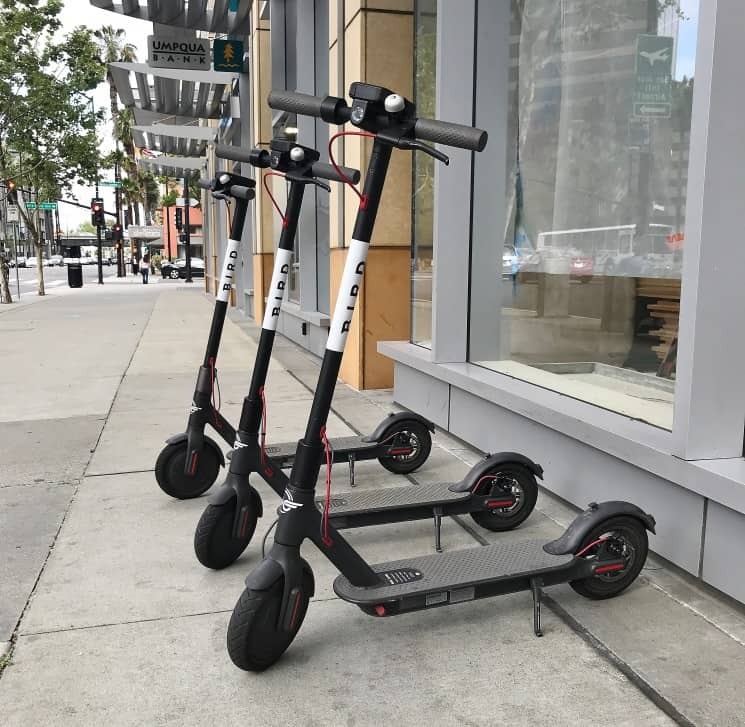 The potential for passersby to damage the scooters – E-scooters parked on sidewalks are completely vulnerable to passersby. There have been reports of people vandalizing and tampering with parked e-scooters, presenting another serious risk to riders. While the combination of these dangers can mean a big risk of accidents and injuries for e-scooter riders, the prevalence of these vehicles seems to send the presumptive message that they are easy and safe to use when, in fact, that aren’t. How Can Victims of E-Scooter Accidents Take Action & Seek Justice? Contractors or companies that maintain e-scooters. Their failures to warn riders about the real risks of accidents, injuries, and deaths that come with riding e-scooters. The best way to stand up to these companies and hold them accountable is to contact the Amaro Law Firm. If you or a loved one has been hurt in an e-scooter accident, contact a motor vehicle accident and dangerous products attorney at the Amaro Law Firm for superior advocacy in the pursuit of recovery and justice. During your FREE consultation, we will listen, answer your questions, and explain your legal options. Free virtual and mobile consultations are available to anyone who cannot visit our offices. Strategic, experienced, and relentless, our lawyers have the skills and insight to craft the strongest possible claim and set your case up for the maximum recovery. While we know that compensation can never undo the damage caused by e-scooter wrecks, we also know how the recoveries from these cases can help survivors rebuild their lives. The Amaro Law Firm’s record of exceptional representation and success (in accident and product liability claims) is affirmed by our 5-star ratings on Google and Facebook, as well as glowing testimonials from former clients.